The web has come a long way since the early days of text-heavy websites and content. High-quality images have finally become the centerpieces of content and communication. This comes as no surprise, as we naturally gravitate towards beautiful images and aesthetically appealing layouts and designs. “Less text and more images” is the new paradigm by which publishers, brands, businesses, and individuals are choosing to create content. Coinciding with this explosion of visual content has been the proliferation of self-publishing platforms. Never before, have consumers, small businesses, non-profits, educational institutions, and large enterprises had so many channels by which to distribute their own content. Social media platforms, blogging platforms, DIY websites, email marketing platforms, ecommerce marketplaces, and local business directories are all readily available as channels to communicate and engage audiences. According to the Content Marketing Institute, 9 out of 10 organizations are driving awareness of their products, services and causes using content marketing and to achieve this, marketers use an average of 7 social platforms to engage their audience. This proliferation of self-publishing platforms has increased the volume and the velocity of content creation and publishing. Photos alone have surpassed 1.8 billion uploads per day. As the volume and velocity of content creation and publishing has increased, the cost of creating beautifully designed content through traditional means has also increased. Relying solely upon a dedicated marketing and graphic design team results in bottlenecks, costing valuable time, money and responsiveness. For large enterprises, multiple decentralized employees across social media, email marketing, and content marketing teams now must create high quality visual content daily and even hourly to engage their audiences. This is replacing the old ways of having a single centralized marketing team creating print catalogs and offline content on a monthly or quarterly basis and is putting an increased strain on the organization to adopt tools to help enable this need. For bloggers, solopreneurs, SMBs, non-profits and educational institutions who are posting on social media and emailing their customers daily, hiring a professional photographer and graphic designer is often expensive and requires considerable time and effort to coordinate. More often than not, the average person resorts to using Word, PowerPoint or Keynote as a makeshift graphic design tool – or simply does nothing at all, which is a costly option in an increasingly visual internet. We believe that the world is ready for professional-level photo editing and graphic design tools that are simple, yet powerful and delivered in a low cost, SaaS model. Traditional software used by professional photographers and graphic designers, while powerful, is notoriously difficult, expensive and time consuming to learn. As one indication, a Lynda.com introductory course on one of the most common photo editing and graphic design software suites is over 14 hours long. Here at Spectrum Equity, we’re big fans of the broader trend of easy-to-use SaaS tools bringing great power and functionality to people who previously had to turn to professionals or had to buy expensive, packaged software that took countless hours to learn. Like SurveyMonkey, which makes creating and sending a survey so easy that anyone (not just the market research expert) can collect valuable data for decision making, and Jimdo, which enables individuals and small businesses to create a beautiful website without having to hire a professional web designer or learn how to code in HTML, and Animoto, which enables anyone to create professional-quality videos for their family, business or organization without hiring a professional videographer, we believe that design will be democratized by a simple but powerful SaaS tool. 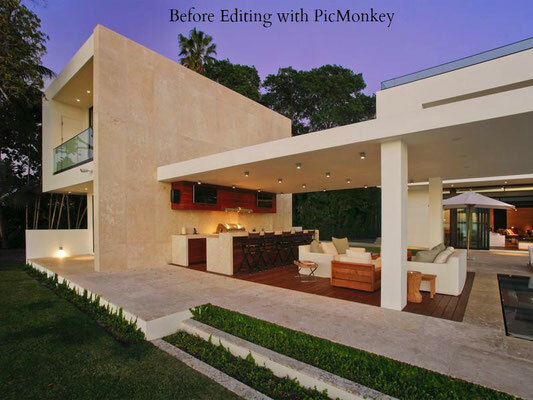 As such, we are thrilled to have recently invested in PicMonkey, a web-based photo editing and graphic design platform that is making professional-level photo editing and graphic design so simple and intuitive that anyone, regardless of skill level, can create their own sophisticated and professional designs. 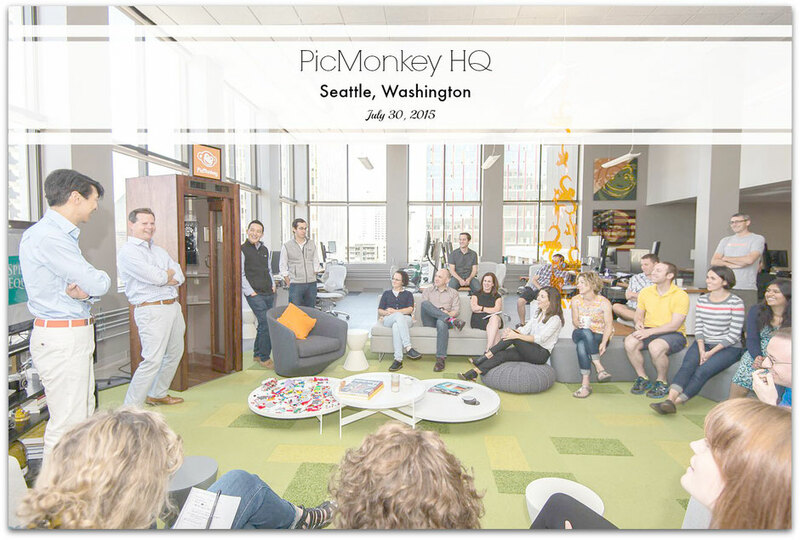 PicMonkey sits at the most critical juncture of the visual content ecosystem. While sourcing and publishing images are important components of the ecosystem, it is the image editing and the laying out of graphic design that delivers significant value and has presented the biggest challenge to the average person. 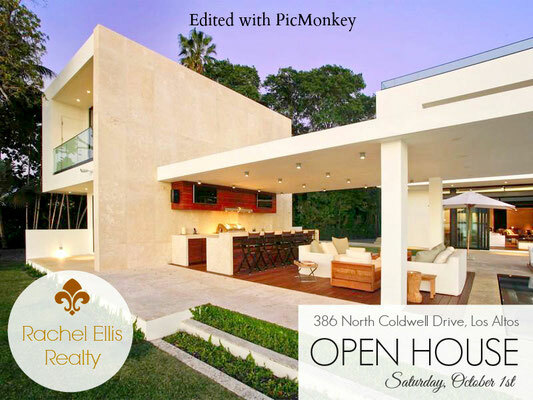 After all, while images are powerful, it is through editing and design that we create context and purpose for images. 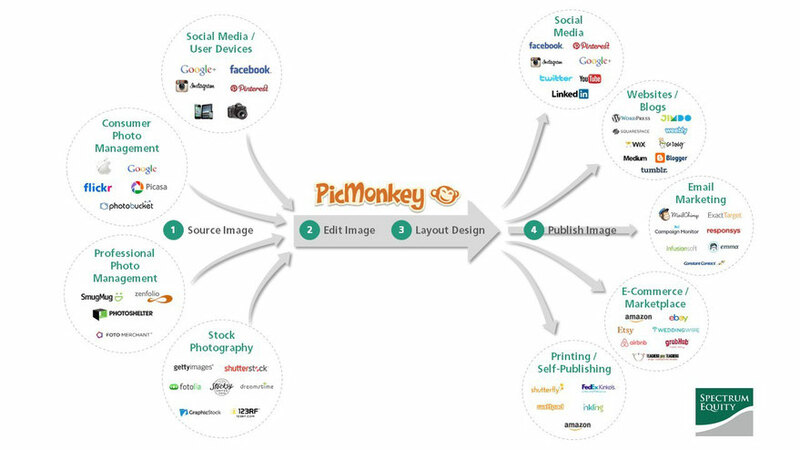 We’re excited to be partnering with the entire PicMonkey team who, in three short years and without any outside funding, have amassed millions of global users and hundreds of thousands of paying subscribers from over 190 countries who have edited and created over 1.7 billion images. Through strength of product and a delightful brand, they have built one of the largest and most engaged user communities we have ever encountered. Together, we look forward to helping realize PicMonkey’s mission to empower users all around the globe to unleash their creativity and create beautiful images and graphic designs that inspire. If you haven’t tried it, go and make something beautiful @www.picmonkey.com!